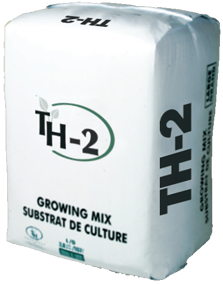 TH-2 Professional Germinating Mix | Theriault & Hachey Peat Moss Ltd.
A professional substrate specially formulated for germinating seeds in plug / flat trays. It contains extra-fine grade sphagnum peat moss (80%), fine perlite (10%), fine vermiculite (10%), calcitic lime, dolomitic lime, wetting agent and starter fertilizer with trace elements. It promotes seed germination and seedling growth, resulting in healthy plants with a strong root system.